Penne Rigate are part of the short, diagonal cut, ridged pasta family and are one of the most well-known type of pasta, as well as being the most versatile in the kitchen. 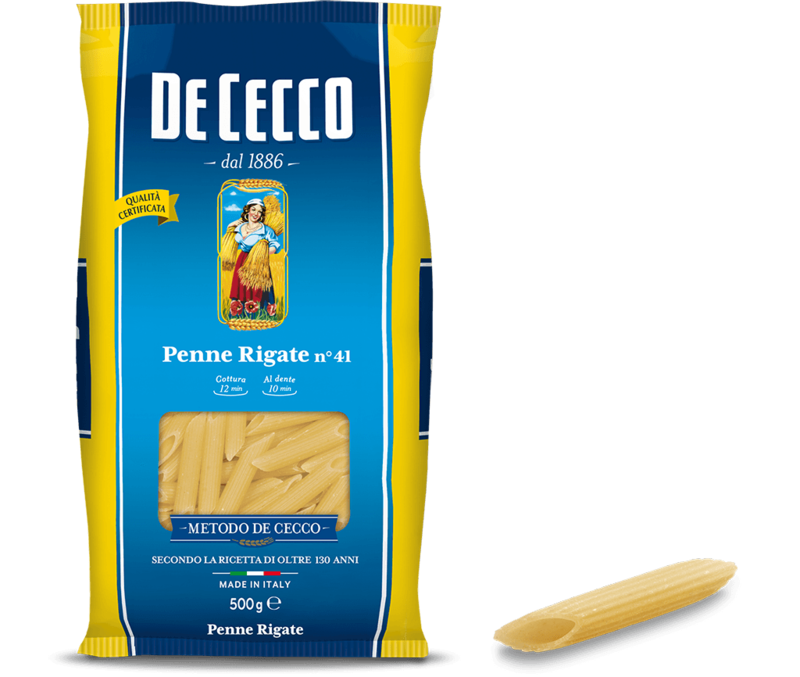 Penne Rigate are perfect for preparing oven-baked pasta or pasta dishes served with meat sauces made from pork or beef. This pasta is equally as good with vegetable based sauces and more in general, due to its versatility, for any recipe from the Mediterranean tradition, such as the classic condiment with tomato, basil, extra virgin olive oil and a sprinkling of parmesan. A classic combination is with Arrabbiata sauce.